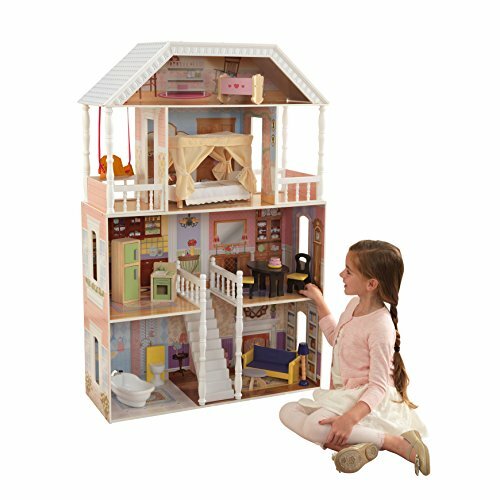 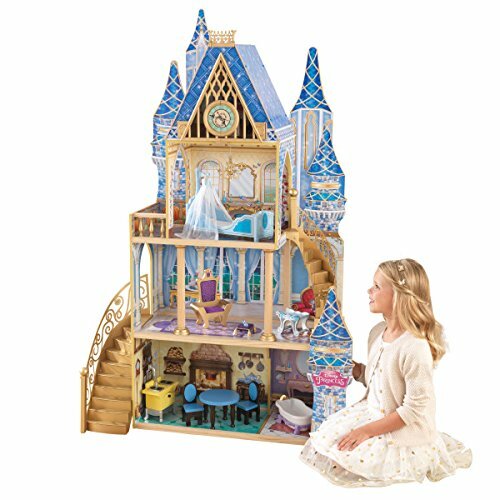 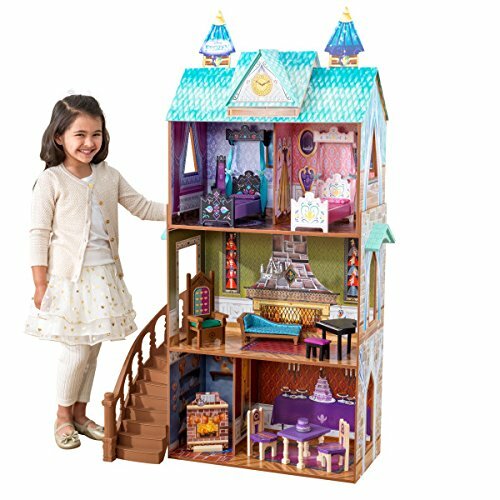 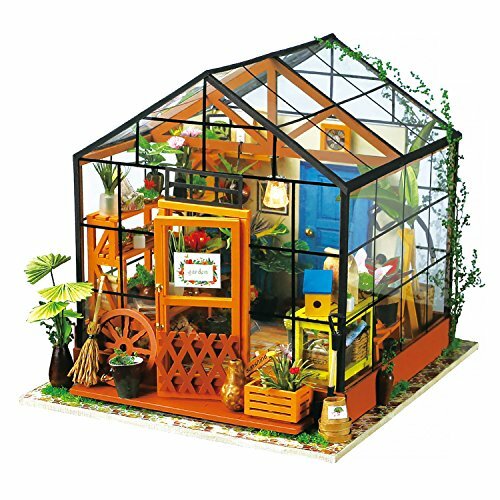 This beautiful doll’s house opens the way for real world play and endless fun for children from 3 years old. 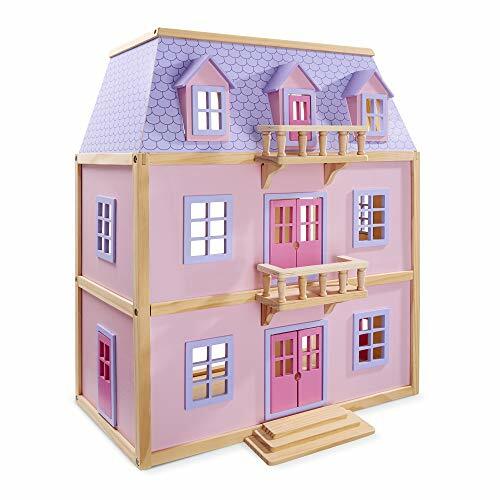 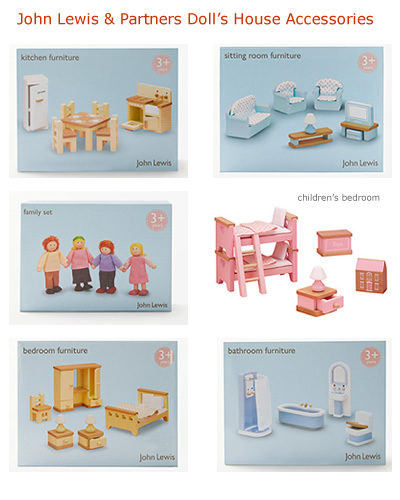 The John Lewis Leckford doll’s house accessories are available to purchase separately. 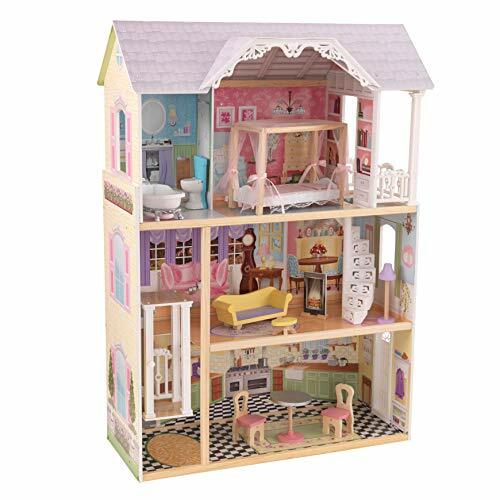 These include furniture for all the rooms in the house plus doll family which includes Mum, Dad and two children. 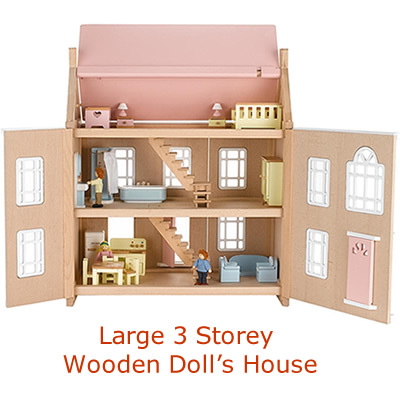 The size of the dolls are just perfect for pretend play in the house. 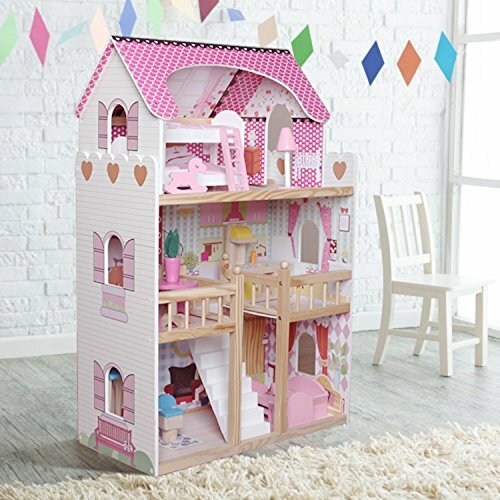 Little ones can spend hours of imaginative play with the Leckford’s family and create a dream home for them to live in with state-of-the-art equipment, latest home gadgets and stylish furniture for around house. 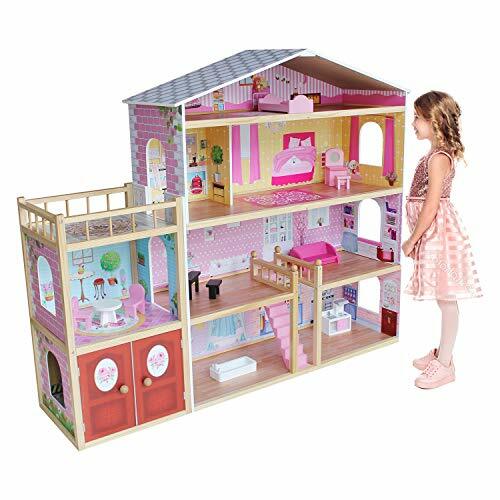 Each room can be lovingly furnished with new pieces for the living room, master bedroom, kitchen and nursery. 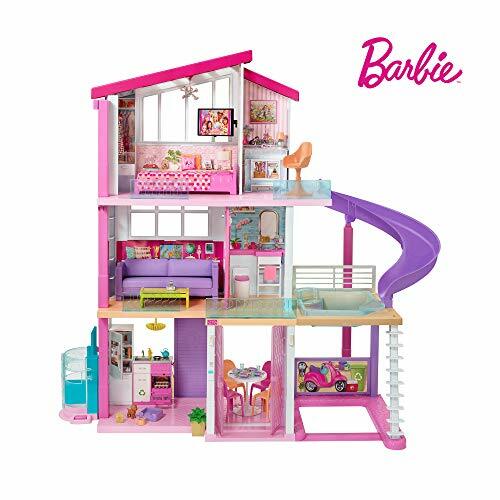 Dolls and doll houses are timeless top toys that never goes out of fashion. 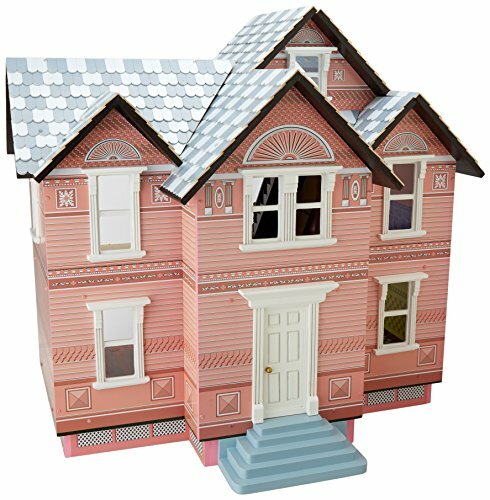 Please note: this house does not contain any furniture or dolls. 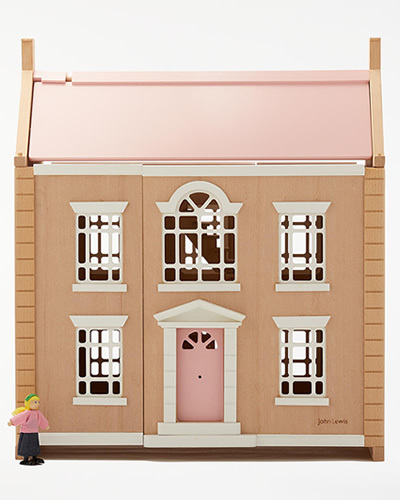 The ones featured in the animated image above are available to purchase separately. 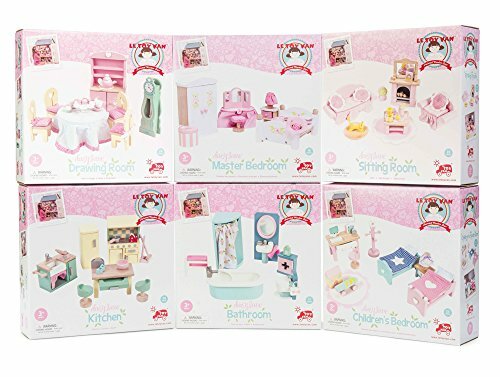 The living room sets includes a two seat sofa, two armchairs, a John Lewis & Partners branded television and table with lamp. 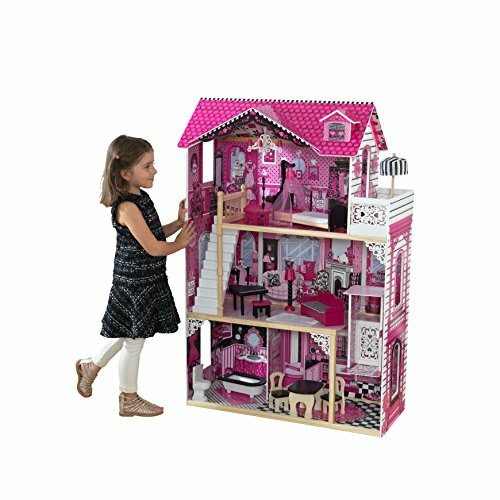 The modern looking sofa and chairs are completed with funky polka dot cushions. 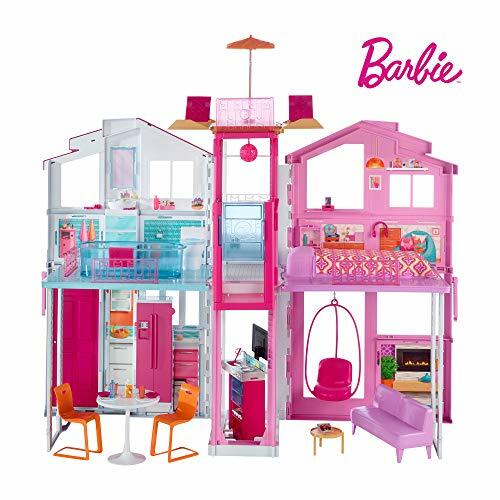 For the kitchen there’s a pink fridge, oven and hob cooking unit and dining table with four chairs for the doll family to enjoy a meal together. 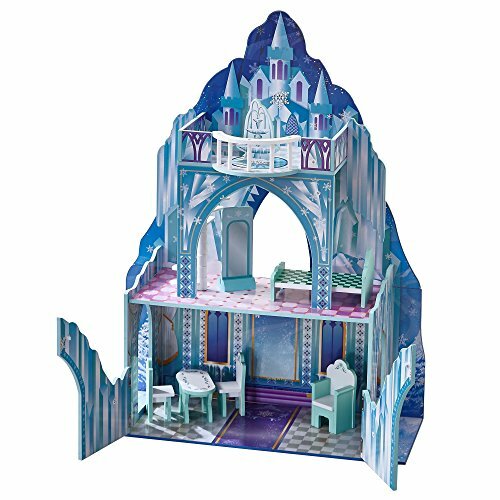 There is plate and cutlery detailing on the table and the cooking unit features opening doors. 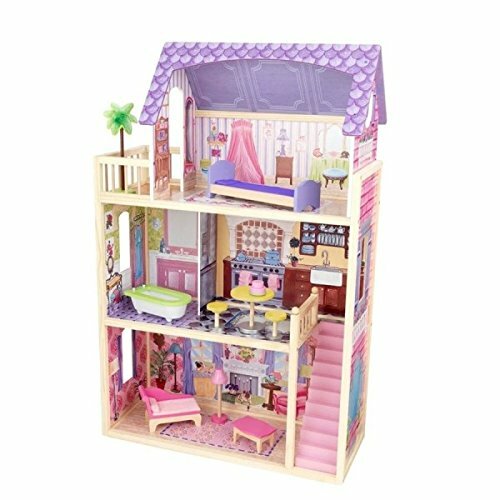 The Master bedroom has a double bed complete with duvet and pillows, two bedside tables, lamps, a wardrobe, mirror and chair. 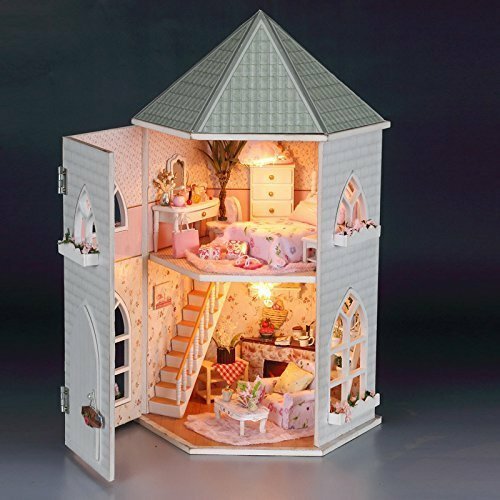 For the children’s bedroom there are pink bunk beds with ladder, toy box, lamp and miniature version of a dolls house. 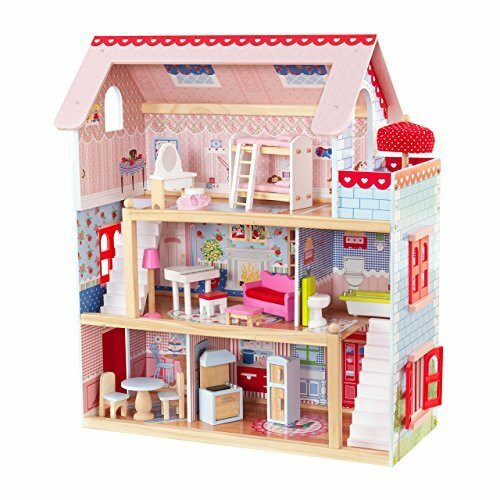 There is also a fabulous bathroom suite in pink which features a shower with curtain, a bath, sink and toilet with moveable seat and taps with hot and cold markings. 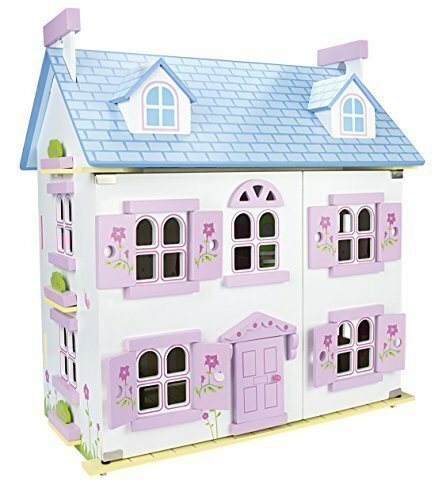 All these fun accessories include everything a child needs to bring their home to life and is a great inspirational toy encouraging children to enjoy using their imagination. 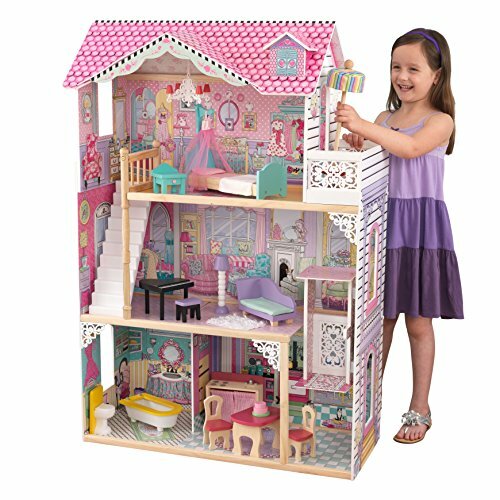 In addition to all the fabulous pieces of furniture the charming family of four make the home complete. 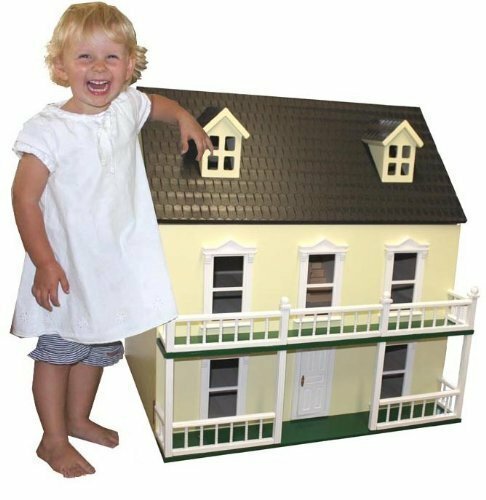 They are fully functional with movable arms, legs and head, have sturdy shoes so they can stand up on and are made from natural material of fabric and wood. 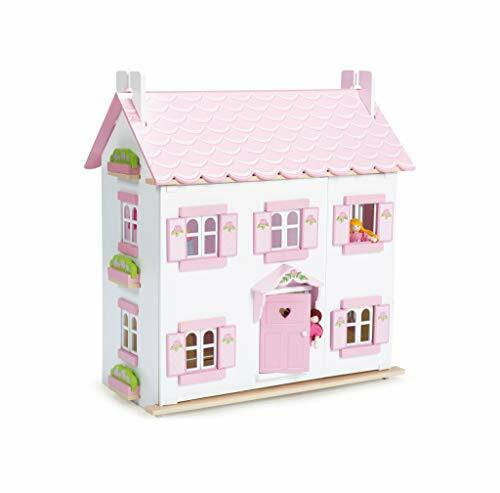 Making the house a home is going to be so much fun for little ones to make each room fully decorated. 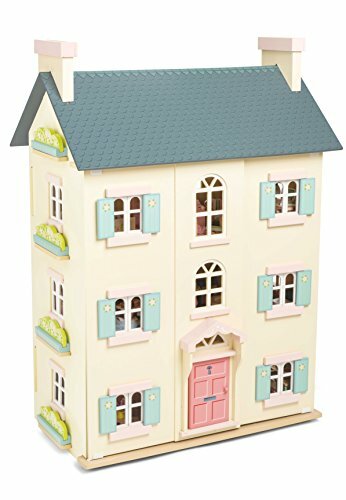 The exterior of the house looks impressive with an attractive pink roof and door with large Georgian windows and opens to reveal a very grand interior with two central staircases. 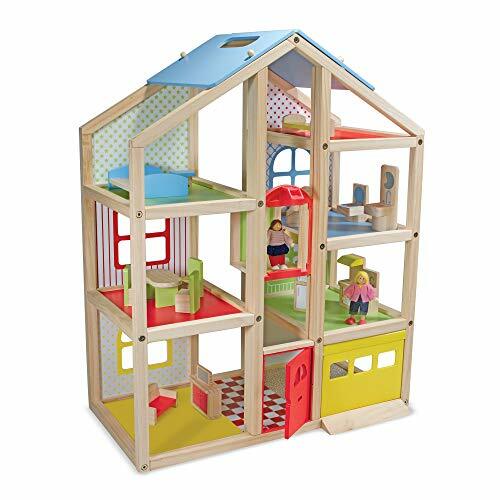 The roof also opens allowing little ones to reach inside easily, especially important if two children are playing.